they have battery back-up and run when the sun is not out. Perfect for any outdoor setting. 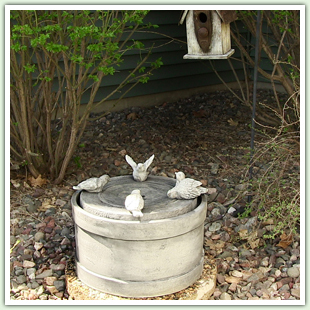 the birdbath styles also have battery back up technology. as well as solar fountain pumps with battery. perfect for any exterior wall or garden wall. 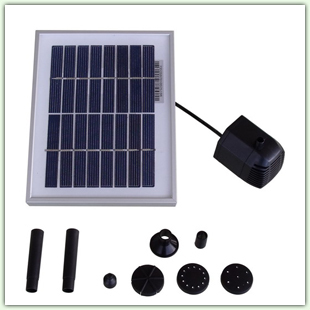 solar pump and panels kits for your pond or pool. well, our most popular fountain style of the season! 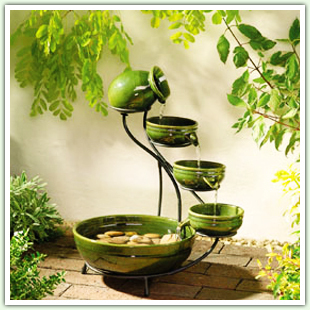 Harness nature’s most powerful energy sources, water and solar power, with solar garden fountains from Serenity Health. 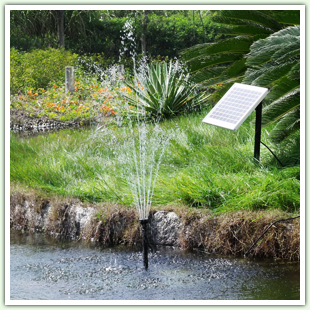 The flexibility of fountains free from electrical cords presents you with many options for the placement of your outdoor water fountains powered by solar energy. 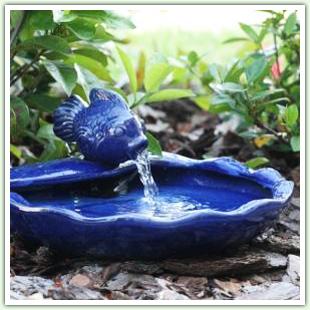 You can enjoy your new solar fountains with a clear conscience as they are an eco-friendly way to decorate your garden. 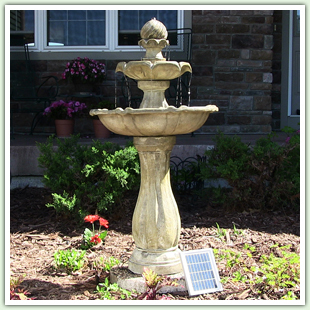 Solar water fountains will provide beautiful additions to any landscaping. 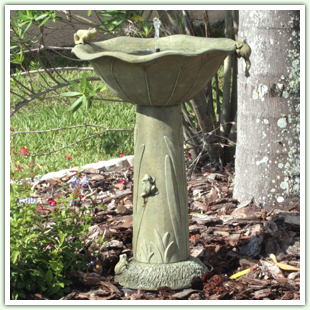 Serenity Health has many beautifully styled solar fountains created from a variety of materials to choose from. With the solar panel (included), they run on pure solar energy with no need for electricity. 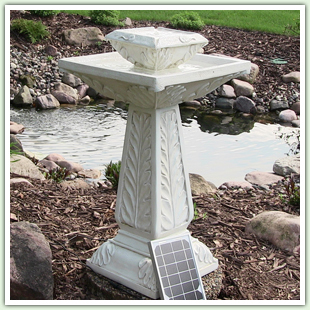 Solar powered fountains are wonderfully portable fountains that can be placed virtually anywhere in your outdoor living space. They normally come outfitted with a long solar cord that can be placed in the sun, while your fountain operates in a shady environment. 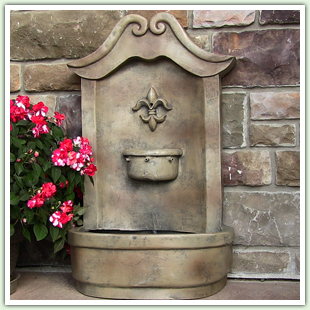 This feature alone makes them the most versatile fountain on the market.